As loathe as I am to have to post my “before” picture, I guess the “after” picture can only truly be appreciated by seeing just how successful my journey has been thus far. So here goes! While I’ve reached my original goal of 35 pounds, I guess in reality my goal was always stated as 35-40 pounds. I’ve decided to get to a nice “number” I’m going to try for 3 more pounds before I begin my transition off of the plan. That will take me to 38 pounds total. This took me 5-1/2 real calendar months, with a 3 week European vacation in the middle. Now for the rest of the journey – keeping the weight off! Who would have thought a new blender would make such a difference! I’m a little embarrassed! I mean I’ve been on this plan for 5 months now, and I just started using a new blender for some items that I didn’t eat much of before. I have a wonderful Vitamix Blender that I love for almost everything EXCEPT single serving Medifast items. For one, the Vitamix blender container is too big, and since it has a fixed blade (you can’t unscrew the bottom), getting thick things like pudding and soft serve out of it are just a little bit of a challenge, since they are so far down in the container to start with. Since I’m only eating about 1000 calories a day, every little drop of my Medifast options are important to me! Pudding wasn’t one of my loves. Not that I didn’t like the flavor, but I never could get it mixed up to my satisfaction without a lot of work, and in the blender, I felt like too much got left behind under the blade. Soft serve is also just yummy. But in my Vitamix blender, it was so hard to get all of it out of the container, and I felt like it was just too much trouble. So, now that I’m nearing the point to start weaning myself off of the 5 & 1 plan, I’m finding that I have a big stack of pudding and soft serve that I’ve just never bothered to eat. So, I purchased a HealthMate Blender. At first it didn’t seem to crush the ice as well as my Vitamix (which made snow of the ice in one or two pulses!). But after playing around with it a bit, I’ve managed to make some pretty good soft serve with it. It takes more time and effort than the Vitamix, but at least I can get down to the last drop of the soft serve this way! As for the pudding, the HealthMate Blender has made a big difference there too. I use really cold water (on the thick side for me), whip it up in a blender cup and then if I’m feeling really decadent I put a splash of sugar free Torani caramel syrup on the top and pretend I’m having crème caramel. I wish I had actually thought to do this near the beginning of my journey! But hopefully it will help some others out there to find ways to get more enjoyment out of some of the Medifast options that really require some power to blend up! I’ve been back from vacation for about a week now. We went to Switzerland, and saw everyone in my host family (I was a foreign exchange student there 30+ years ago) again. Then to Italy to visit our former exchange student and her parents. And finally on to my husband’s family seat in Northern Italy. I’ve lost about three pounds since I returned, so I’m really back on track. The good news though is that I only gained ONE POUND during the three weeks I was away. I am frankly as shocked as anyone. This makes me back to a net two pounds additional weight lost, and an overall weight loss of twenty-two pounds. Let me say that I wasn’t sure this was going to be the case. 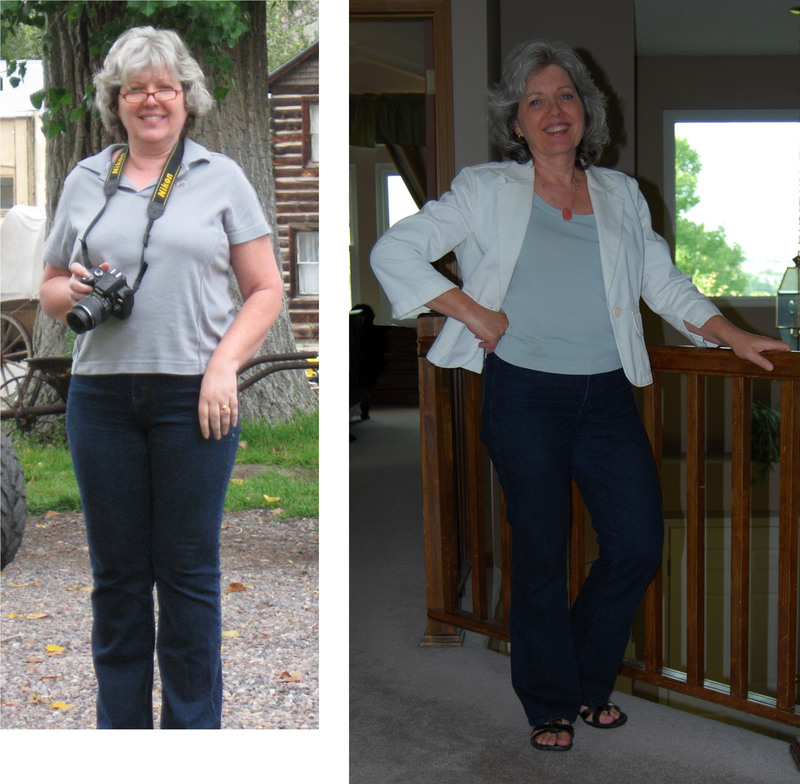 I set out determined to do a 3/3 plan, or even a 4/2 plan (i.e., 3 or 4 Medifast replacements and 3 or 2 Lean and Green meals). This fell apart pretty quickly! We were away 17 days, and 8 of those were spent with family and friends. While I set out to not “indulge”, it quickly struck me how important food is to the people I was with. Not just that they enjoy good food (a given), but that preparing food for special guests is a core part of how they show love and affection. Since we ate home prepared meals (feasts??) at 5 different homes and a three hour lunch at an unbelievable restaurant during our trip, it became almost immediately apparent that I would not be able to turn down EVERYTHING that wasn’t on my plan. I would need to give in on some levels for everyone. Okay, I’ll be honest. I really didn’t want to deprive myself of some of the things offered to me that I only enjoy every few years in Switzerland. I mean really! Tête de Moine? Knöpfli? Rösti? Prepared by some of the best cooks I know? I simply didn’t have the personal resolve or will to pass up these goodies. I DID forgo the chocolate though (but brought some home for when I can start adding other treats back into my life). About a week into the trip, we arrived at the home of our Italian foreign exchange student, and for the first time saw a scale. Granted, my first time on the scale was in the afternoon fully clothed, but I almost fainted. Four full kilos (8.8 pounds) more than when I left home. In just a week! And a week where we did a 3 hour hike around Bielersee. Two days later, just before we left for our next stop, I was still 3 kilos (6.6 pounds) up. Now of course, who knows if that scale was calibrated the same as mine at home, but it certainly had me feeling a little glum. However, the final week of our trip was spent in hotels. And sticking to a 4/2 plan and leaving the car parked at the hotel for most of the week seem to have reversed the tide. Medifast Oatmeal. I’m not a huge breakfast eater anyway, and having Oatmeal at my friends’ homes kept me from the bread, butter, jam and cheese! Except for the Sunday morning when our host had fresh baked Züpfe (Swiss braided bread). I had to try just one little piece of that! Medifast Bars. Easy to eat when on the run. Medifast Crunch Stuff. Parmesan Puffs, Pretzels. Also easy to have on the run. Medifast Cold Drinks. Raspberry Tea, Peach Tea, etc. All of those worked well, except we only had a microwave when at our friends’ houses (we had to plug the one in at my host parents’ house – heehee – they really don’t use it at all!). For the hotel days, I had a coffee (or cappuccino) for breakfast, along with a bar. Then I’d have a cold drink mix mid-morning while walking about. A mostly “Lean and Green” lunch (with a bite of the pasta from one of the boys’ plates!). Another afternoon snack of a bar or pretzels, or a medifast drink. Since we were eating later, I typically had an late afternoon Medifast snack again, and finally a mostly “Lean and Green” dinner. Now, could I have actually LOST weight on this trip? Certainly. If I had stuck to the diet entirely I’m sure I would have lost weight. And some might say that I missed an opportunity. I, on the other hand, realize that it took me years to gain this weight, and even though this diet has been the easiest weight loss I’ve ever experienced, and will take only a matter of 4-6 months of strict adherence to reach my goal, I only really traded 3 weeks of weight loss for a thoroughly enjoyable, stress-free vacation with my family and friends. It was a trade-off I was willing to make. It’s been awhile since I posted. Busy, busy, busy. But I’ve lost 19 pounds now, and I’m hoping for 20 by next week. That would be awesome. One thing I’ve done very differently with this diet, is that I’ve made a pledge to get rid of any clothes that are too large for me RIGHT AWAY. In the past, I’ve had multiple sizes of jeans and other clothing to choose from, so letting the weight slowly inch up on me has never made me say “I have absolutely nothing to wear”. I do believe that’s been an unconscious license to gain weight! So today, as I sit in the sun (well, when the clouds don’t float by and drop the temps too much!) at our annual garage sale, there are a number of items (mostly pants and skirts) that I’m saying goodbye to forever. The next time I have to shop for clothes because nothing fits, it will be because all of my clothes are GONE. I’ve hit the 10 pound mark. I’ve been on the diet for 3 weeks and 4 days now, so I think that’s pretty good! The weight loss has slowed a bit, but is steady. In the 25 days I’ve been on the new diet, I’ve only had three days where my morning weight was either slightly up or the same as the day before. Yeah, I’ll admit it. I’m one of those obsessive daily weighers. I will say though that on this diet it has been quite rewarding, and I don’t feel badly that I check in with the old scale every morning. I do think it’s time to pick up the exercise pace a bit now though. My doctor recently gave me an inhaler, as he thinks it might help with exercise induced asthma. Tonight I’m going to try to speed up the treadmill a bit. I’ve been doing 3-1/2 miles per hour, and while I’ve never really wanted to be a runner, if I can increase that a little bit without feeling like my lungs will burst, it will be another small victory! Tonight I had Qdoba! While my son had a chicken burrito with corn salsa (his favorite), I had a naked chicken taco salad – just lettuce, chicken, habanero salsa and a tiny bit of pico de gallo. I’m sure that Qdoba probably marinates their chicken with some oil, etc., but really, I’ve had this once before on the Medifast diet for my “lean & green” portion, and the next morning I had still dropped another 2/10 of a pound. Part of dieting has to be doing “routine” things, and my family loves Qdoba, so having a “naked taco salad” allows me to be part of the family while I’m dropping the pounds. If my mother is reading this, she will be laughing. I’m just not an egg eater! Scrambled or omelet is about the only way I can manage an egg. That said, as a child I was known to fry up an egg white in butter and scarf that down! It’s with amazement that I report that the Medifast “Scrambled Eggs” are really not all that bad (as eggs go in general and powdered eggs specifically). I haven’t decided whether or not I will actually keep this item on my monthly order, but I’ve eaten about 3 of the 7 packages they sent me. I’ll point out that I don’t microwave these eggs (although that’s the cooking instructions given). I just fry them up with a light spray of cooking spray. I’ve even managed to make a mostly foldable omelet out of them, and I can barely do that with real eggs either, so in my opinion they behave about the same as real egg for an omelet. I suspect that if you have a non-stick pan for your eggs, you would need no cooking spray at all. We, however, have NO non-stick pans in our house. We have birds instead (you can meet them here if you are so inclined). Bird owners know that an accidentally overheated Teflon pan can kill a bird in less than a minute, so we’ve simply banned the pans from the house. Honestly, although birds have a much different respiratory system than humans, I think it’s a good thing for all humans to limit their exposure to PTFE when possible! Now off the soapbox and on to eating eggs! A little bit of fresh pico de gallo, or some chopped fresh herbs on top makes a huge difference as well. Down another pound since my last report. So that’s a total of 8 pounds in just under three weeks.